I thought it’d be neat to follow up my Holiday Gift Guide for Freelance Writers for one geared towards musicians! From history, inspiration, and songwriting craft, this is a well-rounded guide for those of you who are stuck on what to get for your musician friends and loved ones! When we read the list of bands interviewed and profiled for this book, I had to pick it up. It’s a thorough history of the indie music scene in the 80s that starts with Black Flag and moves its way through the decade, covering many of the movers in the indie record label and music scene. 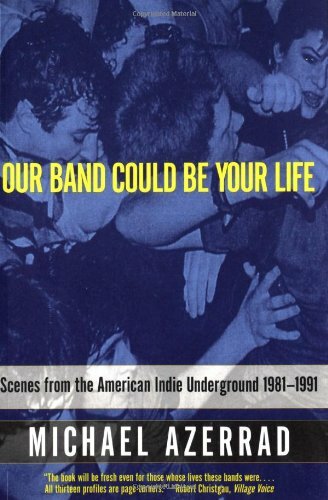 Dinosaur Jr., Fugazi, Minor Threat, and Sonic Youth are just some of the bands featured in this book. For some people, lyrics is an intuitive process. But like any other craft, it can be learned. 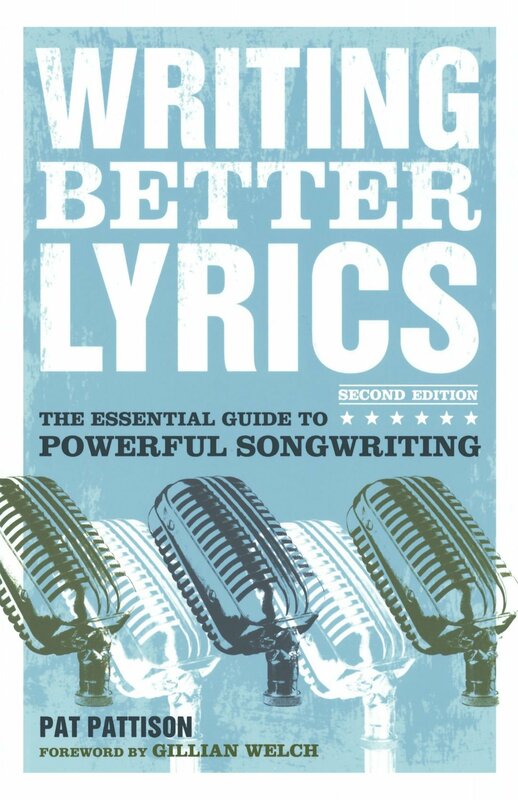 I grabbed this book as part of the free Songwriting class offered by the author and Coursera (which I also recommend). The book is easy-to-read, well-organized, and breaks down songwriting in understandable chunks. From creating vivid imagery, developing a story, and effective structuring, this book is a great start to develop lyricwriting skills. Exercises follow each chapter so you can actually practice what you’re learning. 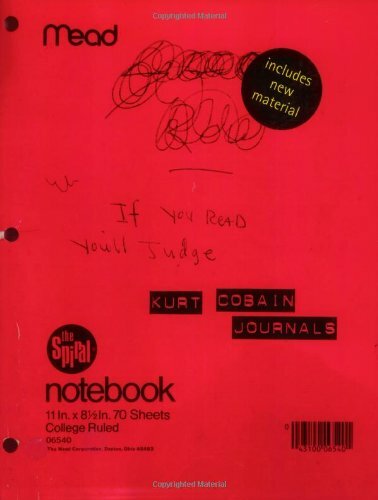 At times poignant and insightful, this collection of Kurt Cobain’s journals and letters uses reproductions of the actual notebook pages and is an intimate look into his head. Even if you’re not into Nirvana, this book is an important way to see how a musician sees the world, thinks, and works. I bought this for myself and my boyfriend last Christmas and we’ve been using it ever since. Affordable and portable, this USB audio interface works with all the major DAWs out there. It comes with Ableton Live Lite, which is fun to play with, but we mainly use it with GarageBand on our Macbooks. (And our roommate has used it with Logic.) 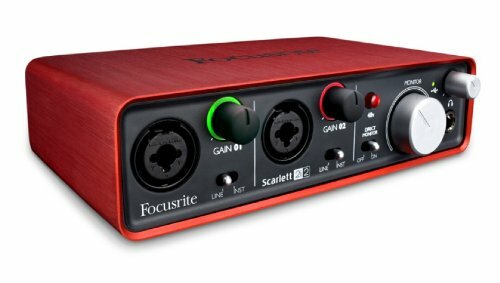 If you’re just getting recording your own music, this is the perfect audio interface — it doesn’t have too many features where you’re overwhelmed, but has the basics of what you need. I’m lucky to have friends with amazing taste in music. Without them, I never would have listened to Oregonian band Genders. Recently back from tour with Built to Spill, they returned to Portland for a release show for their latest album Get Lost. The album starts like a cool summer night: windchimes on the porch, the wind represented by dreamy “ooh”s and a sense of loneliness as one sits with a cigarette on the front step. “Something To Get You By” exemplifies the album well, showcasing alternating vocalists and guitars that never seem to reach the apex of a crescendo. Running a little under 6 minutes, this is the longest song on the album. The following songs range from poppy to introspective, each exemplified respectively in track 5 – “Golden State” – and track 10 – “Twin Peaks.” Both happen to be my favorite tracks on the album. “Golden State” leads with percussion, reminiscent of a drum circle, enticing me to stomp my feet. I imagine a bunch of kids surrounding a beach bonfire. The instrumentation of this song is very playful, at times giving off a surf-flavor, which ties very well into the title. In “Twin Peaks,” the vocals are layered and echo-y, creating a surreal and space-y sound, with a hint of discordance and lots of noise. All the songs feature dreamy vocals and poppy guitar. But in general, I prefer the mood of the last few songs of the album, starting from 52-second song, “Close My Eyes.” The penultimate song “Oakland,” features spunky guitar and a synth inspired by psychedelic 70s surf rock. I could do without the excessively long “How Long Can I Wait?” which should have ended at the 4 minute mark, but continues a minute longer. The last song of the album is disappointing as well. Although it starts strong, it fades away, and gives the album no sense of finality, which is a shame, considering how great of a listen the rest of the album is. I’ve since dived into their previously released 7” and EP, also available via their Bandcamp page. Originally based out of San Diego, Kera and the Lesbians moved to Los Angeles and have since been picking up residencies there. But not afraid of the studio, they released their latest single, “Gypsy Song,” this November. The song starts with muted horns before the mellow (for Kera) vocals enter, which are punctuated by the guitar, before it builds up to what I consider to be the standard in her music: funky, syncopated guitars and a vocal prowess to be jealous of. Kera’s vocals are what hooked me to her music in the first place. At times straining in volume, her voice is passionate and her emotions ripping out of her throat. Their new single demonstrates this just as well as when I first saw them years ago. As the song continues to its end, the reverb on the guitar is reminiscent of surf rock. In whole, “Gypsy Song” is fun to listen to and has all the qualities that I admire in Kera and the Lesbians. They will be returning to San Diego to play at Soda Bar on December 15th with Northern Tigers and Bleached. I’m looking forward to it! You can check out an older single here: “Nailbiter” on BandCamp. At their show in November at the Soda Bar, San Diego-based Bulletins celebrated the release of two singles, available for download through their BandCamp page. Bass and vocals feature prominently at the start of both songs, although both are joined by the guitar and synth soon after, both instruments showing off a playfulness that accents all of Bulletins’ songs. My favorite part of “Can’t Stop” is right at the beginning, when Lorelei croons, “I can’t stop wishing it’s not true, it’s not yo-o-o—o-ou,” which sets the theme for the rest of the melody, with more ascending and descending croons coming back over and over throughout the song. Guitar and synth take more prominent roles in “Is Love” compared to “Can’t Stop.” The lyrics are sweet, describing attempts to fight falling in love. The vocals are dreamy, more poppy. Their pop rock roots come out around 2:30, with the guitar distorted before taking a step back behind the synth and vocals. The singles show off their sound their very well. Paired with their previously released demos, I anticipate their forthcoming album to be a great listen, with their alternative pop rock sensibilities. The two singles are already in my regular rotation.